Following a year in which Scotland hosted the Glasgow Commonwealth Games, The Ryder Cup at Gleneagles and more than 1,000 events as part of Homecoming, the country is continuing to invest in its C&I infrastructure. 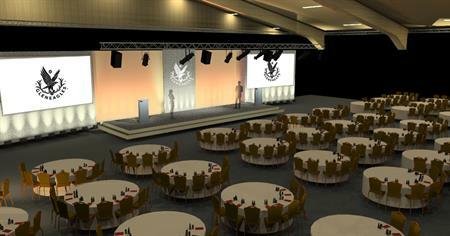 The Gleneagles Hotel, which hosted the Ryder Cup competition, will open a 2,500sqm event space – The Gleneagles Arena. Located within Gleneagles’ 850-acre estate, the Gleneagles Arena will transform one of its current equestrian arenas into a modern and versatile event space which also doubles as a four-court indoor tennis centre. Due to launch in the spring, the space will have capacity for between 500-2,000 guests and will be suited to conferences, exhibitions, product launches, concerts and team-building events. A new combined reception and retail area will also be created, with 650 viewing seats and complimentary parking for 500. Stuart Smith, Gleneagles’ director of events & leisure, said: "After celebrating our 90th anniversary and hosting The Ryder Cup, this has been one of the most memorable years in Gleneagles history, and we are delighted that we’ll be able to keep the momentum going in 2015 with the launch of this fantastic new events space. It’s going to be an amazing blank canvas for all kinds of events – from car launches, to concerts, to foodie extravaganzas. "With 232 luxury bedrooms, 14 function rooms and a wide range of leisure activities, Gleneagles already attracts some really high-profile, exciting events. The Gleneagles Arena will simply take us to the next level, meaning we can handle larger groups, and hopefully stage many more world-class events in the coming years." Neil Brownlee, head of business tourism at VisitScotland, said: "There is no doubt that 2014 was an extraordinary year for Scotland, with our stunning range of venues, accommodation and facilities showcased to a massive global audience. Scotland is recognised as a place to host world-class events and the country’s business tourism industry is brilliantly placed to use the events of 2014 as a springboard for continued success."